The United States, 2006. A top view blueprint drawing of the US Bush Administration, taken from a news photograph, maps out and analyzes the essence of scene. 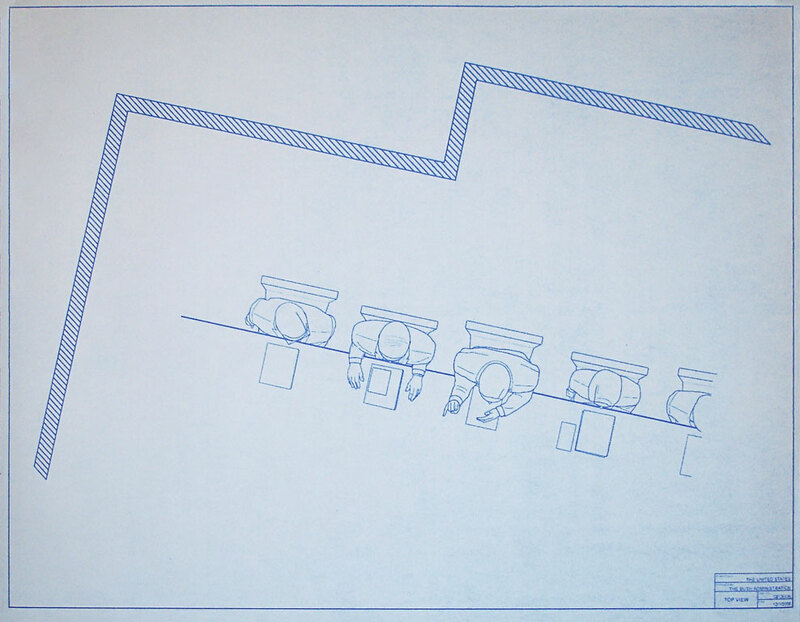 Within the duration of the 4 week exhibit, the blueprint drawing, exposed to direct sunlight will begin to fade away. Christine Gedeon is an artist exploring architectural aerial views through different mediums. Lövestad, Sweden. 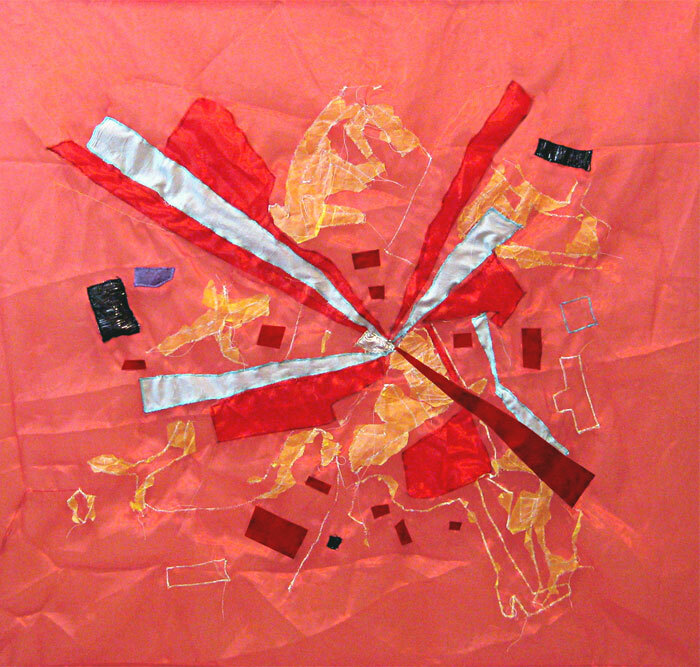 A heterotopian, neither here nor there vision of Lövestad using fabric, paper, and a sewing machine as a drawing tool. Channeled Anxiety. Separation, vaguely about a channeled image and anxiety. It looks calm but really its not. Lourdes Sanchez is a textile print designer living in Gowanus, Brooklyn.